I took a trip up to northern Idaho last weekend, made a few stops along the way, this was one. 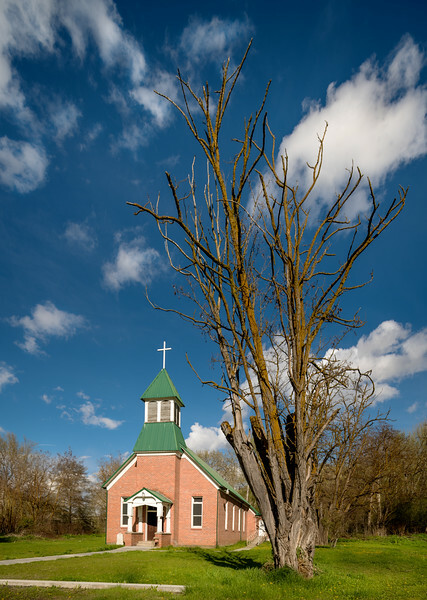 This little Church is in Lapwai which is near Lewiston and the Clearwater River. I have stopped her before but on this day the lighting was so dramatic the hit the Church and hit the clouds. I also used a tilt shift lens to keep the Church in perspective even though I was shooting upward.